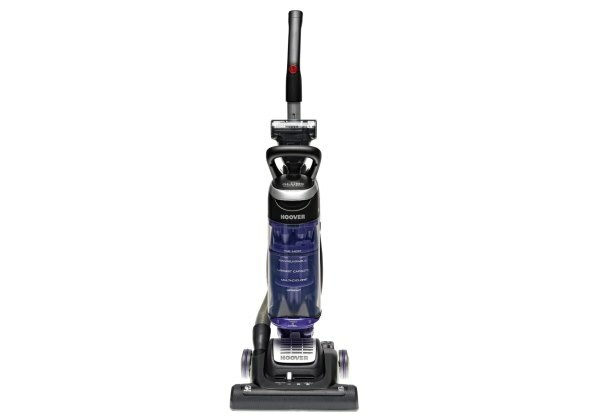 The Hoover Globe bagless upright vacuum features multi cyclonic technology which means no loss of suction when vacuuming. it comes in traditional hoover design and weighs just 7 kilos. It is bagless and so causes less dust and has better suction. this upright has a an extra long hose length, 4.5 metres, so that you can hoover the stairs with the machine still stood solidly at the bottom. It also has an extra long flex , 9metres, so that you can hoover round the house without having to change plugs all the time. The hoover globe upright has a HEPA filter lifting allergens such as dust mites, dead skin and even pollen out of the atmosphere making it a safe environment for allergy sufferers and asthmatics. a HEPA filter will lift particles as small as 3 microns, a micron is a tennth of a millimetre. It is a grreat hoover for lifting up pet hair and has a turbo brush for this purpose. This hoover has a swivel and twist action making it easy to steer into tight and awkward places. It comes with a dusting brush and crevice tool for upholstery and the stairs while the turbo tool is also good for the stairs. the extra long hose means you can reach the dust on the ceiling too. the tools are contained on a 6 in 1 multi function flexible tool so is a great space saver and saves you losing your attachments over time. The hoover globe upright cleans right up to the skirting boards and has multi pile carpet level adjustment settings as well as a setting for hard floors. it is very manouvreable with the twist and steer technology and reasonably light weight. the multi cyclonic technology ensures complete powerful suction throughout the house. The HEPA filter is washable and the cannister easy to empty with just a click. 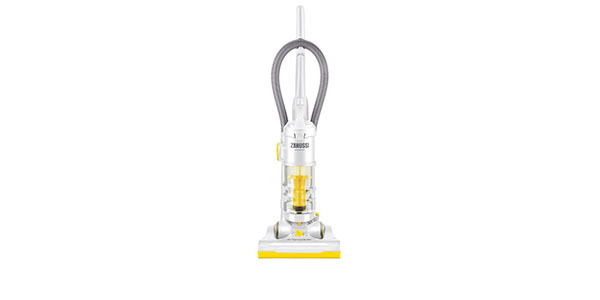 this hoover is sturdy and well made at a very reasonable price. This hoover globe upright has quite a large cannister bin which is very simple to empty and you can see clearly when it is full unlike messy hoover bags which cost money, are awkward and throw out a lot of dust. The powerful multi cyclonic technology and turbo brush make this hoover a very effective tool for getting up dog and cat hair which is always a big problem when they are casting. 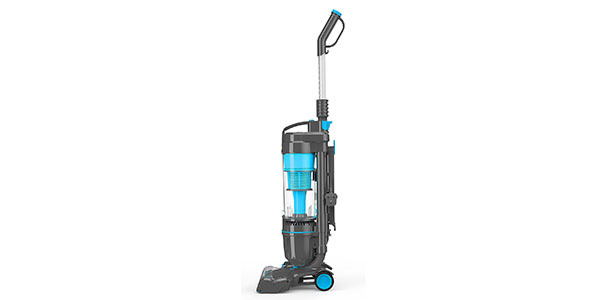 If you are after powerful suction and a good manouvreable and lightweight hoover that is well made, this is the hoover for you.